QIS INSURANCE SERVICES LLC offers professional insurance services in Los Angeles, Torrance, Redondo Beach, Carson, and Lomita, Sacramento and throughout California. We specialize in providing insurance services for your California auto , homeowners , condo, renters, earthquake, flood, commercial properties, motorcycle, recreational vehicle, boat, classic car, antique, collector, and Truckers insurance. QIS INSURANCE SERVICES LLC is a trusted leader amongst other CA insurance agencies and companies, providing quality protection, superior customer service and the lowest CA insurance rates with coverage's tailored to your specific needs. Our agency proudly represents companies that have continually earned the highest ratings from AM Best, the leading independent insurance rating authority like: Progressive, Safeco, Travelers, MetLife, Fidelity, Foremost/Farmers, Infinity. Representing these nationwide insurance carriers as well as many others enables our agents to effectively compare rates and coverage to ensure our clients receive the quality protection they deserve. At QIS INSURANCE SERVICES LLC, we make it our top priority to assist you in identifying your specific needs, while putting together a personalized coverage plan. We strive to match you with the most comprehensive insurance package that caters to your unique requirements. Our knowledgeable agents are well versed on all aspects of CA insurance so no matter where you are located across the state-we'll have you covered with a dependable policy you can rely on. We welcome you to join our family and learn about our numerous options for CA insurance. Contact Us now at 310-316-1600 or 800-603-5754 to speak with a professional insurance representative and receive a free insurance quote today! Why choose QIS INSURANCE SERVICES LLC Insurance? * Low Cost Auto, Home, Business, Condo, Renters, Earthquake, Flood, Commercial Properties, Motorcycle, RV's, and Boat Insurance! 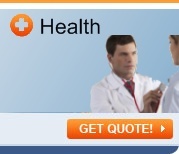 - With the ability to quote & write for multiple CA insurance companies, we're always competitive. *Licensed Agents - Our entire staff is licensed by the CA Department of Insurance and can help in all stages of your auto insurance policy, from quoting, to purchasing, to servicing.. we are always just a phone call away. We proudly serve all California communities including Torrance, Redondo Beach, Palos Verdes, Carson, Lawndale, Hawthorne, Long Beach, Hermosa Beach, Manhattan Beach, Inglewood, Compton, Marina Del Rey, Santa Monica, Orange County and the Greater Los Angeles Area with their insurance needs.